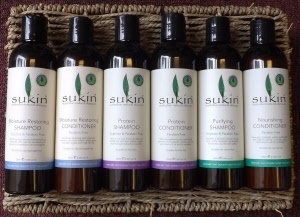 Cleanse and manage your hair with these natural products from Sukin. The Sukin range of Shampoo & Conditioner utilise the most innovative hair care actives to ensure that your locks are left shiny, manageable and most importantly, healthy. The Sukin Shampoo & Conditioner product range includes Purifying & Nourishing for normal hair, Protein for fine, limp hair and Moisture Restoring for those with dry or damaged hair. Free from stringent, sulphates and harsh chemicals which can strip the scalp, cause dandruff and irritate the skin, Sukin Shampoo & Conditioner provides the ultimate in natural hair care for normal, dry/damaged and fine/limp hair. With intensely moisturising ingredients for dry or damaged hair. With strengthening plant proteins for fine or limp hair. Rich in strengthening plant proteins for fine or limp hair. 10% off introductory offer! The Sukin body care range is formulated to restore the natural balance of moisture to the skin, Sukin’s body care range offers a simple and effective routine for hydrating, exfoliating and repairing the skin on our hard-working bodies. 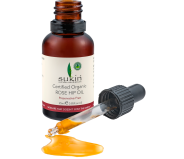 The Sukin body range includes ingredients such as cocoa and shea butters, as well as vitamin E and avocado oil. A naturally refreshing deodorant for men and women. Non pore clogging and with natural zinc for day long protection.